Would you like to enlarge your living room windows or have some bi fold windows and doors installed? These changes can invite the natural light and garden surrounds into the home. It can also improve the cross ventilation efficiency and reduce the energy consumption when heating and cooling your dwelling. Would you like to replace your floor or wall tiles? Replacing relatively simple finishers such as floor and wall tiles in your home can make huge improvements in the appearance of an existing home without too much expense. Are your existing polished floor boards in need of a re-sand and polish? Re-polishing your existing floor boards is an effective way to enhance the look of your home. In the building industry of today there are many options with floor polishing you can choose from and regardless of the species of flooring you have there are many different products, stains and sheen levels to choose from, depending on your personal choice. New Floorboards – With Mortar Life’s extensive carpentry background we take great pride in our ability to produce high quality polished floors. We use only the best available materials and when installing our floors we strictly follow the Australian standards for flooring and manufacturers guidelines. This guarantees the best possible outcome and performance of a Mortar Life floor. Would you like a walk in robe built with cabinetry installed? Having a walk in robe built is a great way to organise your wardrobe and create more storage space, with innovative thinking there are many ways we can achieve building a walk in robe for you. Do you need a skylight installed in a room that doesn’t get sufficient natural sun light? Positioned correctly skylights can enhance your solar access. What is solar access? Solar access is the term used in architecture for the property’s ability to use sunlight without obstruction. How about an alfresco area built for entertaining? With some clever design and engineering we can seamlessly build your alfresco into your existing roof lines to make it appear like it was always there. If you are interested in having a garage, carport, Pergola, decking, atrium, conservatory, pool house or green house constructed then Mortar Life Quality Builders P/L can help you with the design, permits and construction of these projects. Neil Coulter the director of Mortar Life has been constructing these kinds of structures for over 20 years and has extensive knowledge and experience when it comes to custom designed structures and standalone buildings. 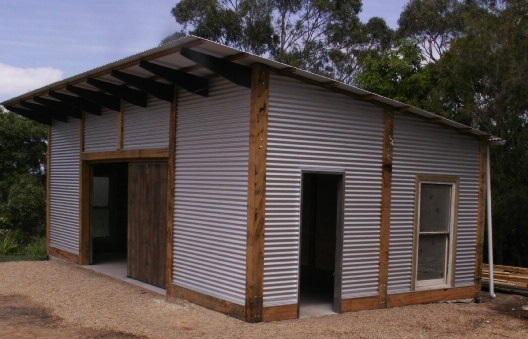 As a point of difference the team at Mortar Life Quality Builders P/L have a great interest in recycled and reclaimed (rescued) timber and building material and in recent years have constructed some remarkable projects using these types of building applications. You can view some examples of our recent projects in our work showroom and recycled material section of our web site.